From time to time, I’ll come across a sports book that I think is worth ranting about…this is one of those times. 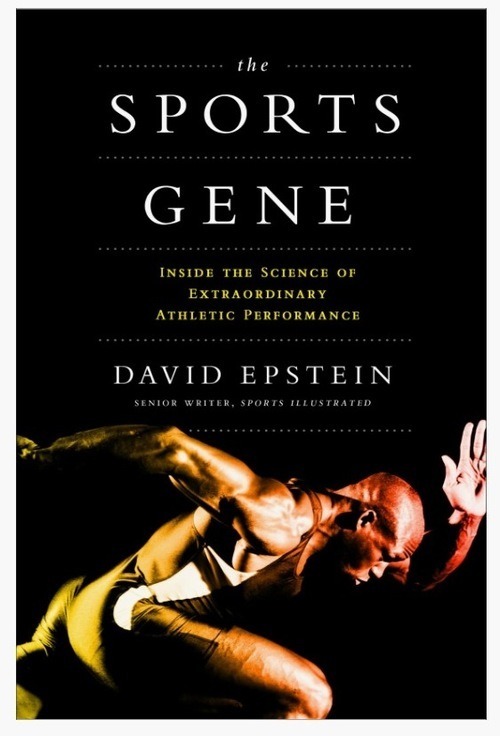 The Sports Gene: Inside the Science of Extraordinary Athletic Performance by David Epstein takes a look at how science, you know DNA, genetics and environment, really impacts athletic performances. He takes an in-depth look at the nature v. nature theory while tackling sensitive issues of race and God-given talent. I haven’t completed the entire book (so this isn’t a book review), but I’m enjoying it so much right now that I wanted to encourage others to read and comment on it. I promise I’ll be back with a real life review.